Social media monitoring lets brands dig into social media data to find valuable insights. This tool can help everyone from big corporates to niche publishers like media update hit their targets. We’ve teamed up with social media tracking and reporting service amaSocial to learn about social media monitoring. The media update team has been invited to trial amaSocial. Over the past few months, we, at media update, have transformed our social media strategy. With the strategy fully implemented, tweaked, and refined, we are ready to analyse how readers interact with our social media content. We are using amaSocial to track mentions of “media update” to gain a more in-depth understanding of our readers and their social media habits across three social networks: Facebook, Twitter, and Instagram. As we explore the features of this social media tracking service, the advantages of monitoring our social media activity are becoming more and more evident. It’s also easy to see how our sources, like the brands and businesses we interview, can benefit from using a service like amaSocial. One of the best places to get consumer or audience feedback is on social media. People share their opinions on just about anything. media update’s audience, for instance, use social media platforms to discuss our articles, from the news our content contains to the opinions of our sources. amaSocial shows us conversations people are having about our stories. It combines all tweets, posts, and updates mentioning “media update” into a single platform where we can easily see what stories people like and want to see more of. 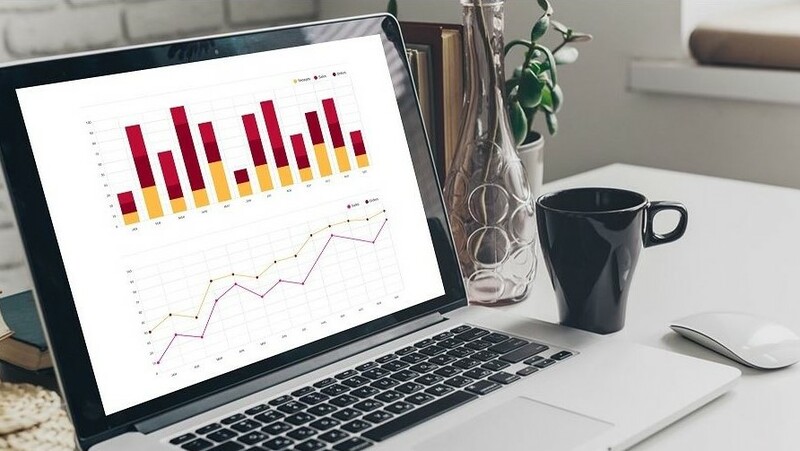 The information that brands can receive with social media monitoring is just as valuable as the insights publishers like media update can gain. Social media tracking allows marketers and PR professionals to tap into public social media conversations. Looking at a list of social media posts that mention your brand will quickly show you how customers are experiencing your products, stores, or online platforms. Use this invaluable information to thank users for compliments or rectify issues they have pointed out. Gavin Coetzee, digital monitoring researcher at amaSocial, explains that users can easily organise this type of information through amaSocial’s Sortbins function. Our team is using amaSocial to measure our achievements against the targets we have set out in our strategy. We’re comparing the data provided in amaSocial’s reports with our targets to see which of our tactics are working well and which platforms we should be spending more resources on. As we continue to monitor our social media activity, we also expect to see which platforms are not performing as expected, despite increased effort from our side. At that stage, we’ll be able to decide whether a specific social network, say Instagram, is right for us or not. Brands can take the same approach. Marketing teams overflow with creative ideas, which become adverts, campaigns, and marketing messages. These ideas have to be right for your target market, product, or service, so you know that you are using your creativity and resources wisely. To determine this, compare the data in your social media monitoring report to the targets in your social media strategy. On top of improving existing strategies, initiatives, and offerings, you can use the insights gained from social media monitoring to create new campaigns, identify gaps in the markets, and discover altogether new markets. He also suggests monitoring a specific topic pertaining to your business. Analysing social media conversations surrounding a topic can help you uncover consumer needs for new products or better solutions. This research method complements your other market research activities, all based on insights gained from thousands of social media posts. This is done through amaSocial’s Topic Tracking service, which many of its clients also use to gather information about their competitors. If you, for example, track the topic “Black Friday”, you’ll get to see what both the public and other companies in the industry are saying about this event. With this information, you’ll be able to stay ahead of your competitors at every step. Building your social media strategy can be a trial and error process, but with a service like amaSocial you can remove the ‘error’. Having experienced a taste of what social media monitoring can do, we are adapting our social media strategy to offer our readers the content they want on the platforms they love most. amaSocial is expanding its social media tracking and reporting services to include AI-powered features like trend spotting and fast, accurate sentiment analysis. Read more in our article, How AI is changing the face of amaSocial.